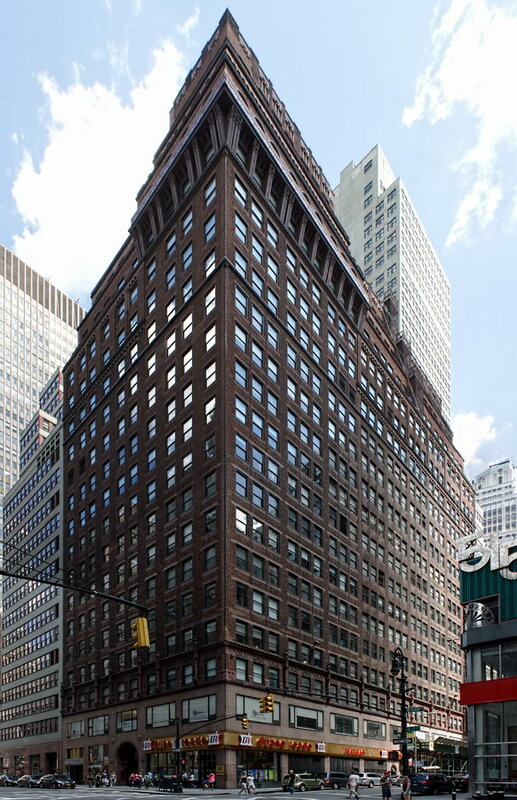 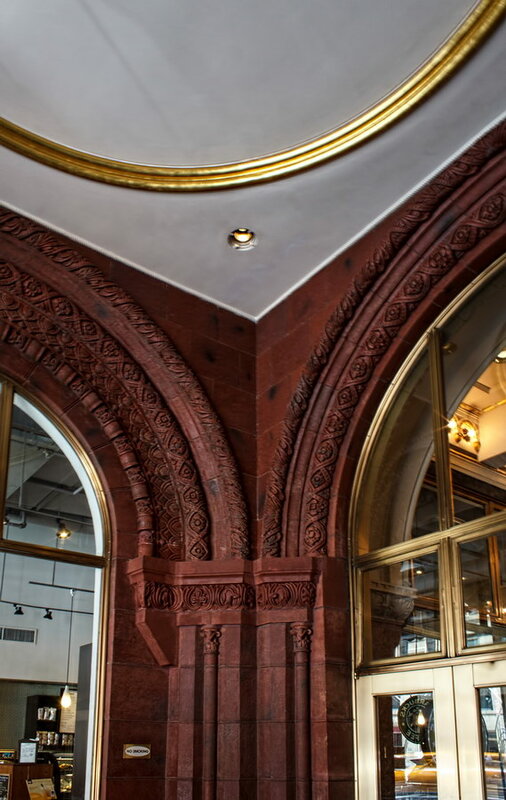 February 21, 2015 Manhattan1922, 525 Seventh Avenue, commercial, Henry Ives Cobb, Manhattan, midtown, New York City, romanesque revival. 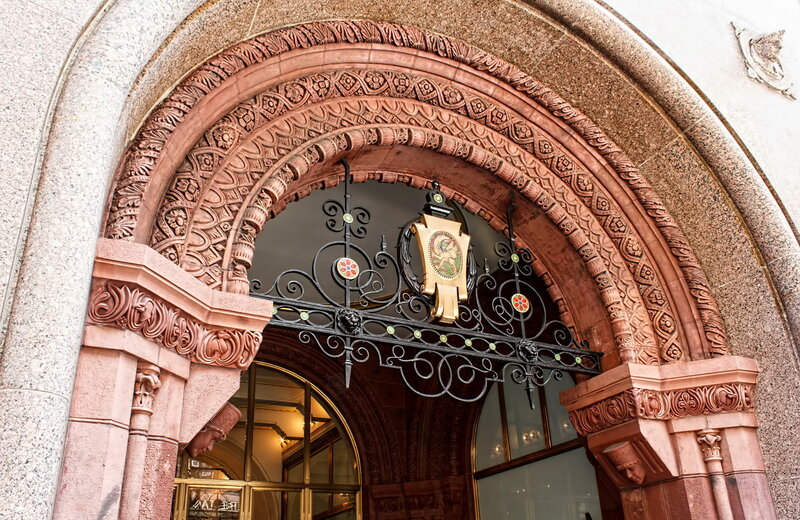 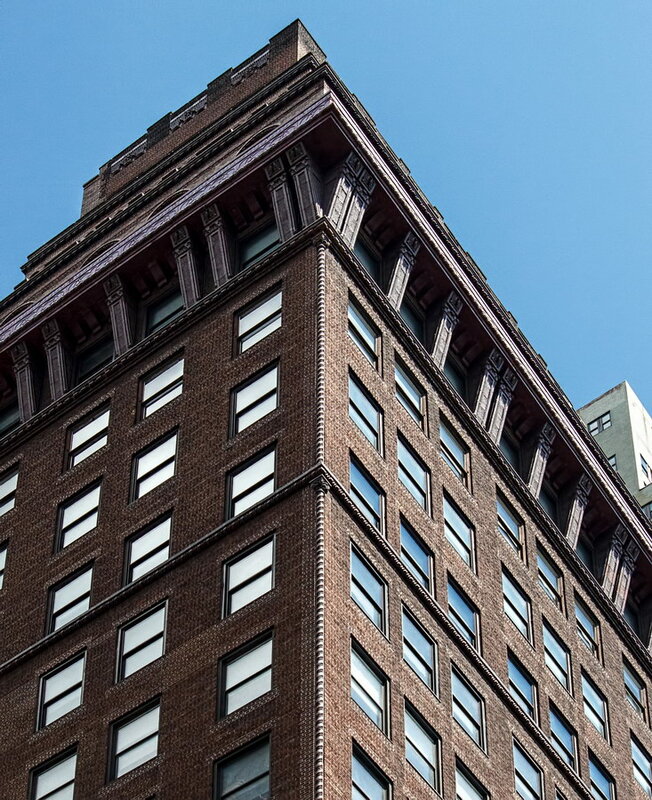 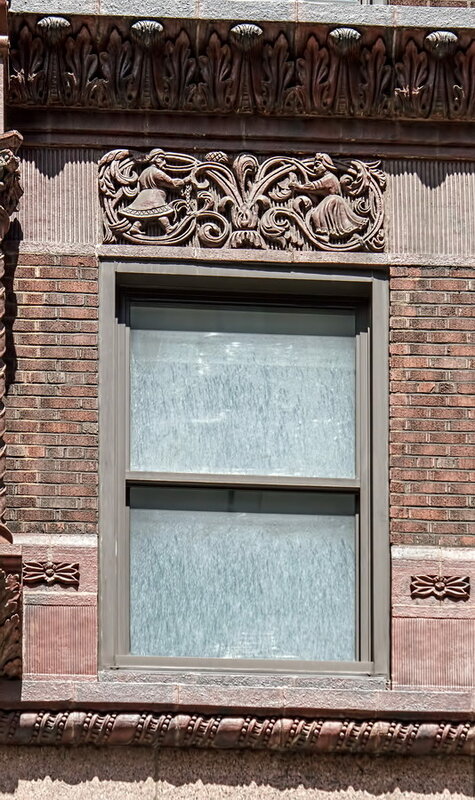 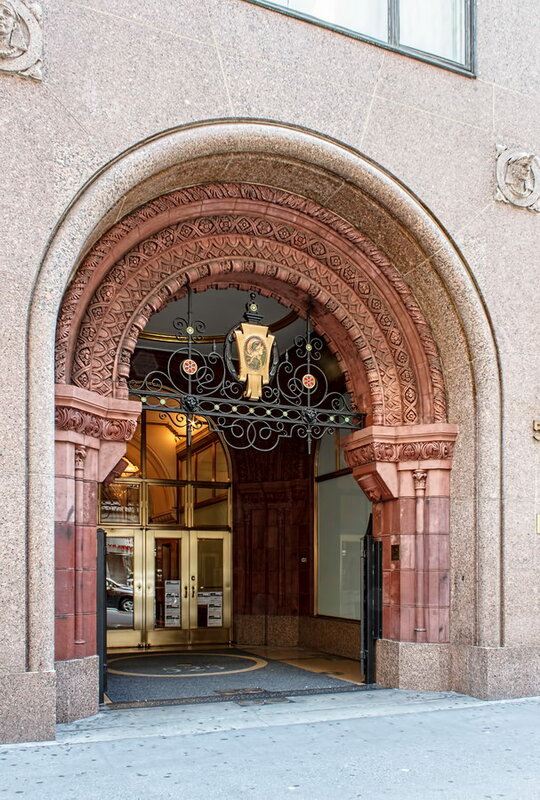 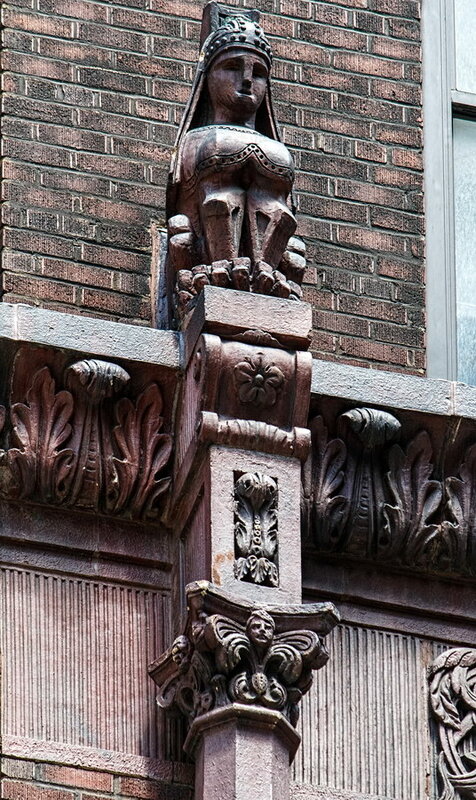 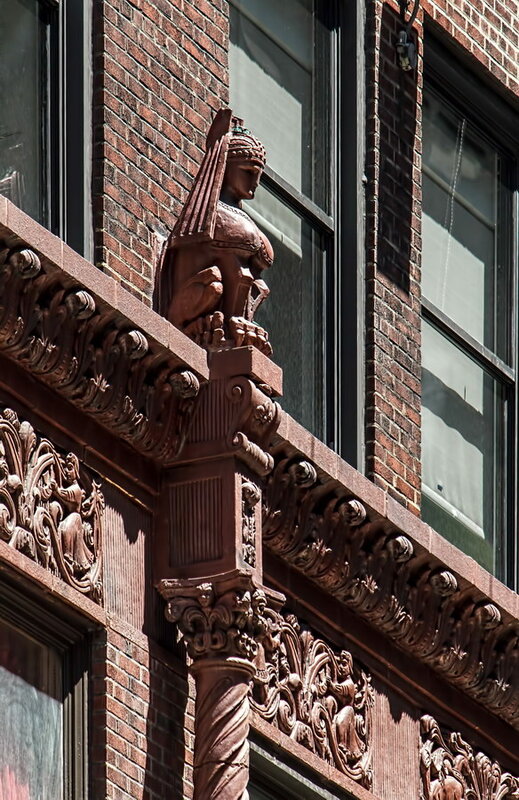 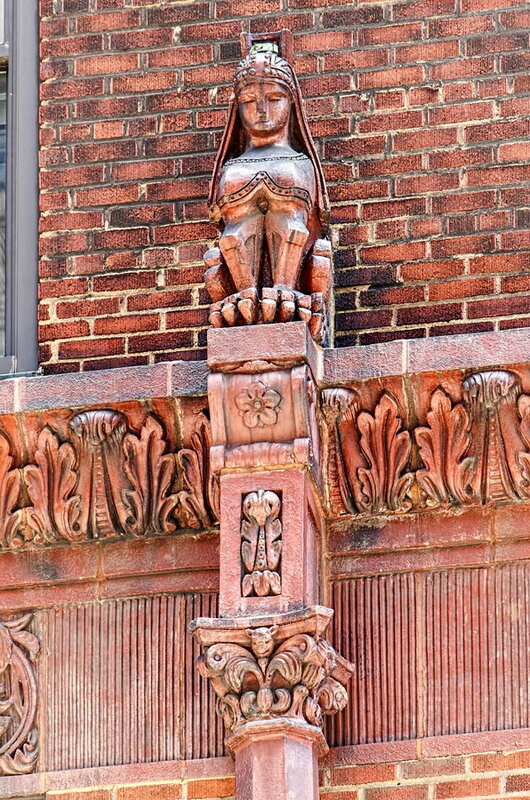 Fashion Center Building, in the words of The New York Times, “is hardly a traffic-stopping landmark.” But its entrance and its terra cotta decoration are noteworthy – someone was paying attention to details. 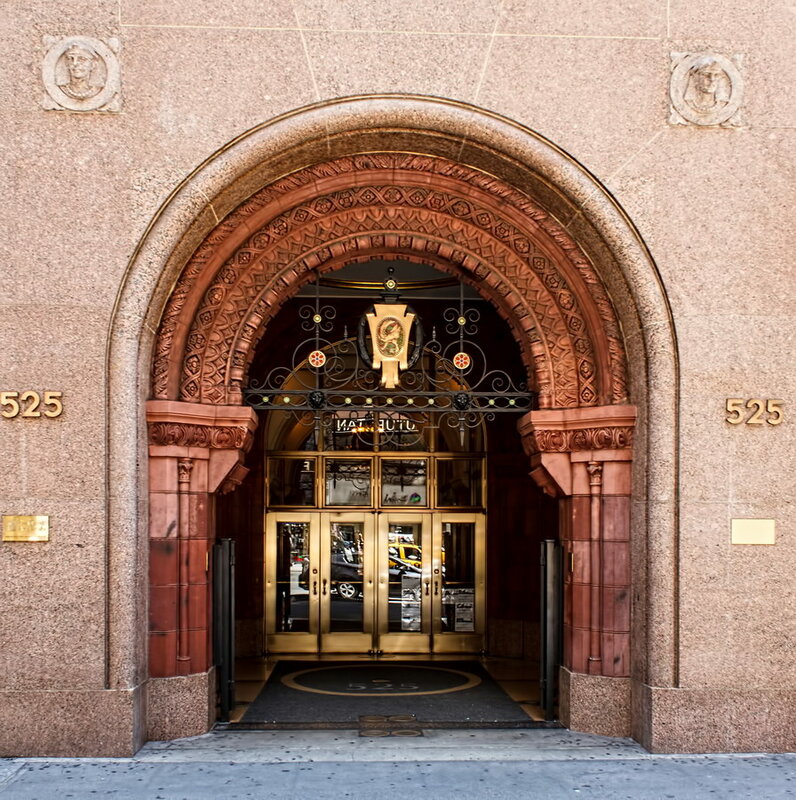 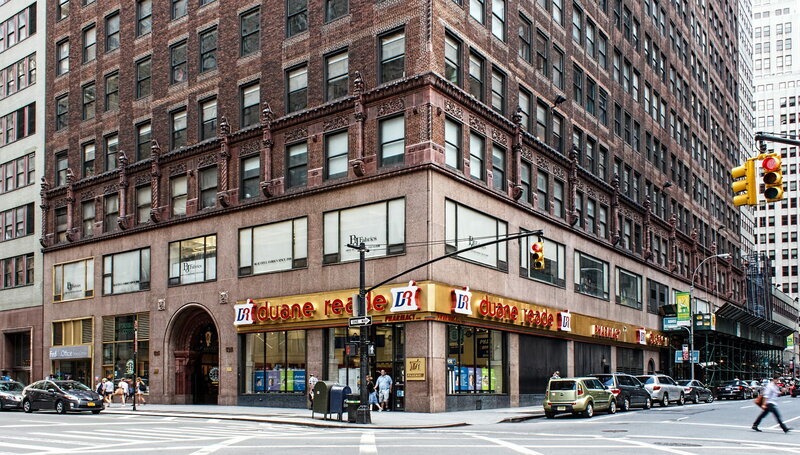 The Seventh Avenue entrance was restored in 1994 to close to its original state – the ornate wrought iron grill had been removed and the vestibule had been enclosed with a line of modern doors. 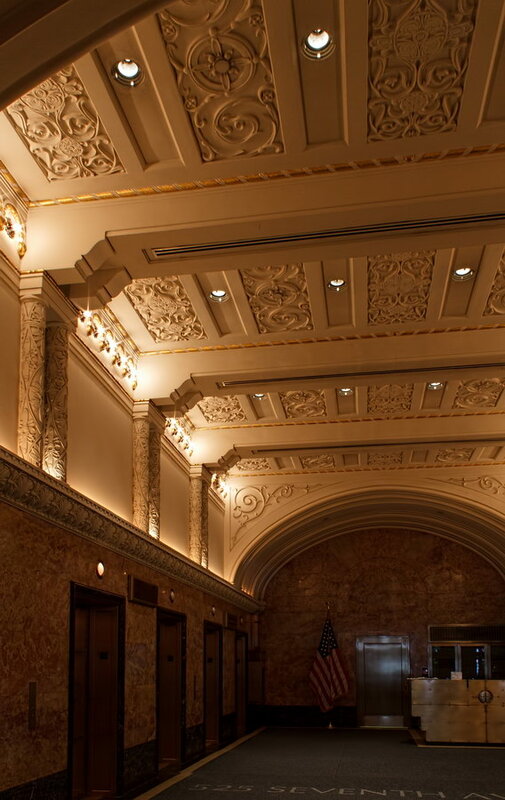 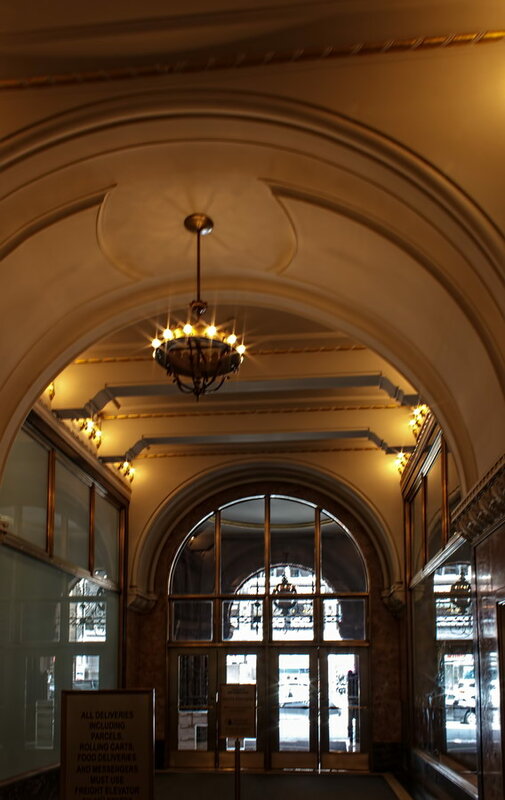 The restoration architect, George Ranalli, added modern touches in the floor, lighting and lobby desk, but otherwise preserved the spirit of the original.